One of Europe’s leading specialist oil extraction companies – North Lincolnshire-based New Holland Extraction – is constantly looking to innovate and develop new products to improve its market share. Only last year it invested £1.5 million to more than triple the size of its plant and almost double the size of its workforce to 25 as it prepares to bring a new product to market that will enhance the bread and cereal sector. But the Dutch-owned company, which also supplies essential ingredients to the cosmetic industry, is not resting on its laurels. Working in collaboration with oil extraction specialists at York’s Biorenewables Development Centre (BDC), the company is exploring ways to enhance the value of its products and improve its productivity. 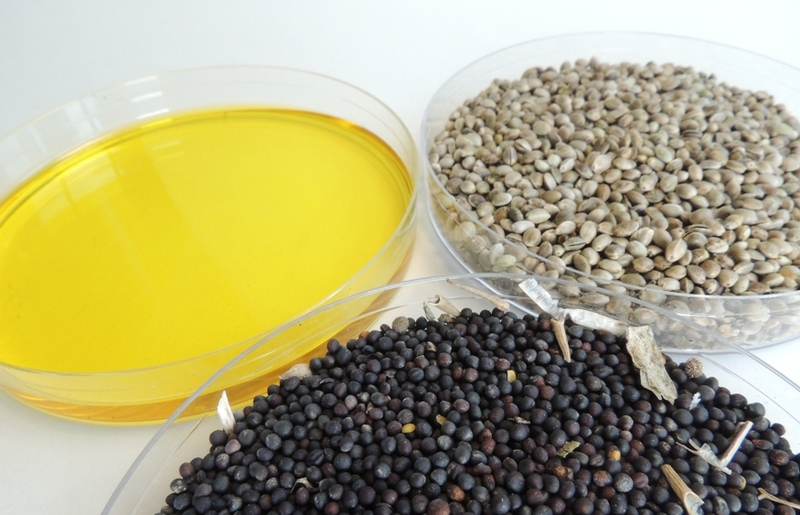 Using seed samples from New Holland Extraction’s own production plant south of the Humber, BDC’s oil extraction specialist, Dr Raymond Sloan, has been looking at alternative technologies for extracting the special oils that are the core of the company’s business. Colin Watkinson, New Holland Extraction’s Plant Manager in the UK said: “Although we are a relatively small company, we have big ambitions and are constantly seeking to improve the way we work, and the products we offer. Raymond and the team of researchers were able to examine in detail how the company’s extraction processes might be improved. As a result, the BDC was able to identify an existing technology that could improve yields by using a more efficient and effective method of extraction. “The challenge was to improve the extraction rates while maintaining the very high quality of the product to meet market demands and stringent industry standards set down by the European Union,” said Raymond. Colin admits that, at first, he was a little unsure about the value that Raymond and the team could add, but those doubts were instantly brushed aside when he looked at the team’s research pedigree and the equipment available at BDC’s state-of-the-art facilities. A measure of the success of the relationship is that Colin and his colleagues at New Holland Extraction have asked BDC to work with them on a new project looking at how to improve the extraction and production of oil from a commercially grown cereal crop.